How selectors relate to HTML structure. CSS selector game — see who can finish first! Specificity problems and how to avoid them. How to debug specificity wars. Specificity quiz — see who can finish first! Block elements vs. inline elements. How to center things vertically. 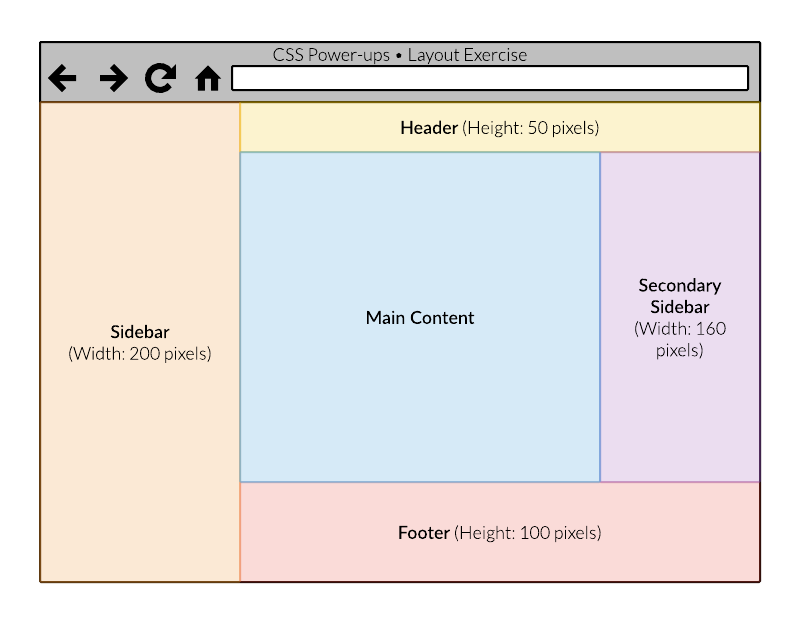 Margin, padding, and other layout properties. Implement this Lucidchart wireframe in CSS (ignoring text). All the cool things that can be done with CSS these days. How to check for browser compatibility. Make your project from last week scale down to mobile nicely. Advantages and disadvantages of preprocessors generally. Features and relative strengths/weaknesses of the most popular preprocessors. Refactor your solution from the last two weeks to use a preprocessor. How to make sure your front-end work is performant. Tools for debugging performance issues. Implement a parallax scroll effect, and make it as performant as you can. Atomic, OOCSS, BEM, and other paradigms. Overviews of Compass, Bootstrap, and other frameworks. Implement a small CSS framework that allows users to style their typography. Use any approach you like.